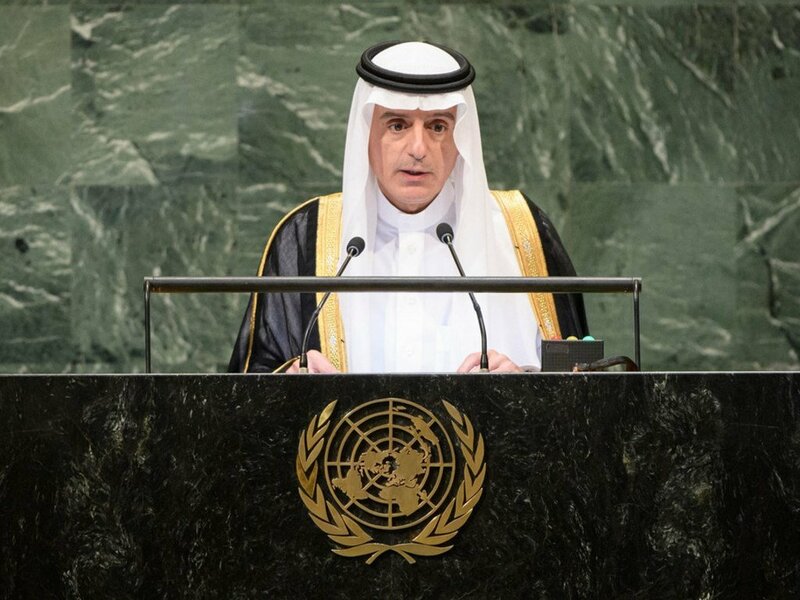 Foreign Minister Adel Ahmed Al-Jubeir of the Kingdom of Saudi Arabia addresses the seventy-third session of the United Nations General Assembly. Saudi Arabia is focused on peaceful solutions to conflict and is undertaking various mediation efforts, Minister Adel Ahmed Al-Jubeir, told world leaders gathered at the UN Assembly on Friday. The “historic and essential” peace agreement between Ethiopia and Eritrea, facilitated by Saudi Arabia, illustrates the crucial political role played by the country, he added. On the conflict in Yemen, the Saudi Minister said that Houthi militia continue to manufacture missiles and carry out activities that destabilize the region. Underscoring the need for a political solution to the crisis, Minister Al-Jubeir said that Saudi Arabia will continue to facilitate all humanitarian efforts to alleviate the suffering of the Yemeni people. He also highlighted the plight of the people of Syria, where the crisis is into its eighth year, and stressed that the country’s people must be able to live on their own soil. Affirming that terrorism remains a major challenge for the world, including in his own region, the Minister informed the Assembly of the institutions established by Saudi Arabia to strengthen the fight against violent extremism. He also denounced Iran for continuing aggressive and terrorist activities and spoke out against extremist and hateful rhetoric spread by Qatar through its media outlets. In his address, Minister Al-Jubeir said that “international regime”, which has existed for centuries is pillared in sovereignty and respect for international law. “This is not up for discussion. Sovereignty is a red line that cannot be crossed,” he said. The Foreign Minister also highlighted the rights of the Palestinian people, including their right to an independent State, and called on all countries to respect relevant Security Council resolutions.